Our collection on necklaces and pendants spans over two centuries of jewelry making. With a selection varying from Victorian necklaces dating back to the late 1800’s, Art Deco diamond pendants popular in the 1920’s to classic Modern solitaire necklaces of today. 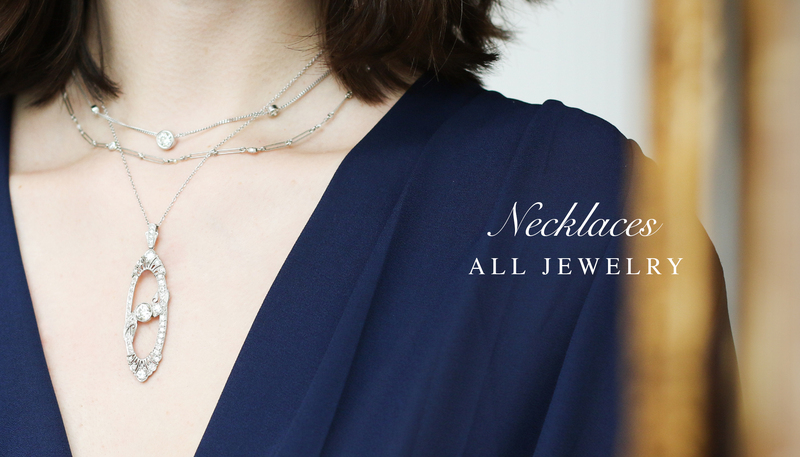 Whether adorning your neck for a special occasion or simply looking for an everyday piece, our wide variety will suit any need.